Thumbnails are the first impression of your video. The ultimate goal of thumbnail images is to reach the audience and to increase the watch time of your video. The thumbnails you have selected must be accurately fit with the message you are conveying in the video. The thumbnails must increase the excitement for the viewers to know the content. YouTube Video Thumbnails must draw the people’s attention towards it. People search for videos on YouTube platform and watch the videos by seeing the thumbnail images displayed in search results on the platform. Thumbnail images are very important to get identified among crowded videos on YouTube platform. Consider your video as a Book and thumbnail as your Book cover and hence you will know how important your thumbnail is for your video. They play a huge role in attracting the viewers towards your video. Thumbnails can boost your video visibility across the platform. Thumbnails help your viewers to identify your videos from the crowded video content across the web. You can change or add the YouTube video thumbnails by signing to your account. Go to video manager tab and click on edit button which is present next to your video. You can check the screen preview and choose the best thumbnail. If your account comes under the custom thumbnail, you can go with the live streaming access and also have a choice to go for Custom thumbnails for the video you have uploaded. When you have uploaded the videos to your channel on YouTube, your thumbnail was automatically selected before the video was published. These automatic thumbnail selections might not be correct always and will not get fitted with your video. So, you can choose a custom thumbnail image where you can use a still from your video content with some limited options. Clickbait Thumbnails are generally targeted the online ad revenue with an eye-catching thumbnail and related pictures in order to attract the click through and to encourage the people towards your video. It increases your video engagement levels. But the majority of YouTube users are misleading the Clickbait thumbnails neglecting the YouTube policies. The usage of Clickbait must be in a right way to get a good advantage. Be honest while using the Clickbait thumbnails. Don’t ever deceive the people for gaining engagement. You may lose your potential subscribers for immediate engagement levels with Clickbait with irrelevancy. Most of the Youtubers generally look towards the thumbnail images than the titles of the video content. So, make your thumbnail bright, relevant and clickable. If people like some buzz words, incorporate in your video titles if and only if they are relevant to your video content. Yes, the relevancy plays an important role. It might not get an immediate clicks or engagement but they can bring new subscribers in the long go. The first two lines of the description will be showed in search results along with your video. So, make a nice description about your video which can be very helpful to your viewers to know about what your video consists of. The custom thumbnail must be large and it must be around 1280X720 with at least 640 pixels. The thumbnail must be below 2MB in size. You must use 16:9 aspect ratio which is mot used ratio across the YouTube video players and previews. You may create the best content with good video resolution and best audio to your video. Yet your video will stay in the crowd if you didn’t have placed an attractive, relevant and best thumbnail that fits exactly with your video. 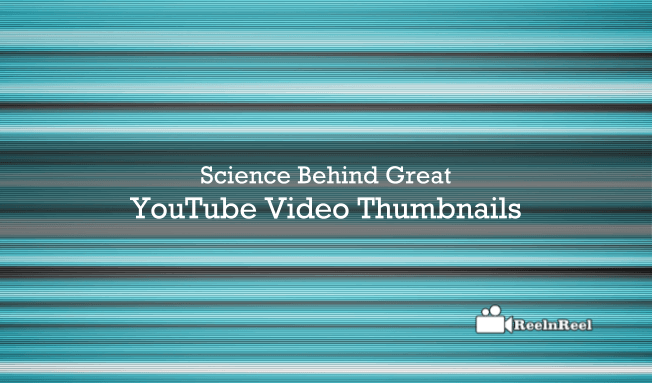 So, you must know the different ways about how to create a tempting thumbnail for your YouTube video to get good clicks. Add graphics, animation etc in your thumbnail. Why just going flat type always. So, make it special but, whatever you add to make your thumbnail, it must be simple and clear and people must easily understand what it really conveys. Always focus on the thumbnail quality as it must be attractive and clear. The thumbnail must be with good resolution with good brightness. It must be relevant and exactly match with your video content. Irrelevant thumbnails will not bring you everlasting success. Don’t forget to add your logo to your thumbnail, so that people can notice your channel and know about the next videos and previous videos done by you. It can also help you in branding your business on YouTube platform. Display the emotional connection in your thumbnail. Emotions always work to grab the audience towards your content. So, include good emotional content in the thumbnail to stay connected with your audience. Use different basic color to your thumbnail by modifying the color composition to your image, because color definitely implies the emotional attachment. So, use the best colors basing on the trending topics and season. The Face and Numerical images are revealed to be most well-working thumbnails on YouTube according to many survey reports. Try to utilize the best thumbnails with a close-up picture to attract the viewer’s attention towards your video content. Place the best text size on your thumbnail to make people understand what you want to convey in your video and what they will get from your video. So, make it clear and bright to help the audience understand about your video. Finally, follow this guide if you are a beginner on YouTube video thumbnail creation and enjoy the success.